.the mere mention of the name conjures up pictures of floats, maskers, beads, doubloons and the pure joy of Mardi Gras. 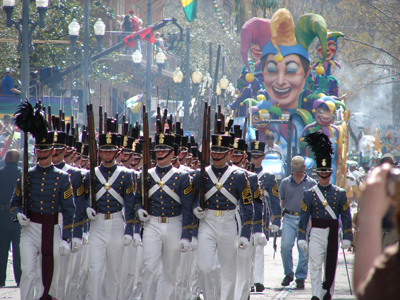 From the family atmosphere of St. Charles and Napoleon Avenues, to the party feel of the downtown and French Quarter areas, there is a place to parade watch for everyone of every age and size. The celebration that is Mardi Gras is deeply rooted in the French tradition of New Orleans. Begun as a "New World" carryover from the pre-Lenten Parisian Mardi Gras, the New Orleans festivities evolved from private balls to foot parades to float parades (started in the mid 1800s) to the extravaganzas of today. The organizations that provide the Mardi Gras parades and balls are called "krewes". All do so at their own expense, thus providing what has many times been called the "Greatest Free Show on Earth"
Southern Decadence started as a simple going-away party. As a top gay Labor Day Weekend destination, it has evolved into one of our world's major annual events. 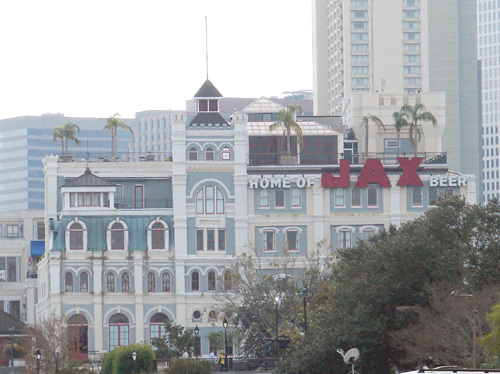 One of the largest annual celebrations in New Orleans, it has become known as the "New Orleans Gay Mardi Gras." People begin to arrive on the Wednesday before Labor Day, and generally don't even think about stopping or going home until the following Tuesday. With over 100,000 gay, lesbian, bisexual and transgender participants, the economic impact on the city was estimated to be in excess of $95 million. The city has recognized its importance with an Official Proclamation to welcome the event. The corner of Bourbon and St. Ann Streets is generally considered to be the epicenter of Gay New Orleans, and even more so during the Southern Decadence festival weekend. At that intersection is the largest gay nightclub, The Bourbon Pub video bar and The Parade dance club, which is home to the hottest dancers in town. Across the street is Hit Parade Gift and Clothing store. Most of the city's main gay attractions are located within a few blocks of this intersection. 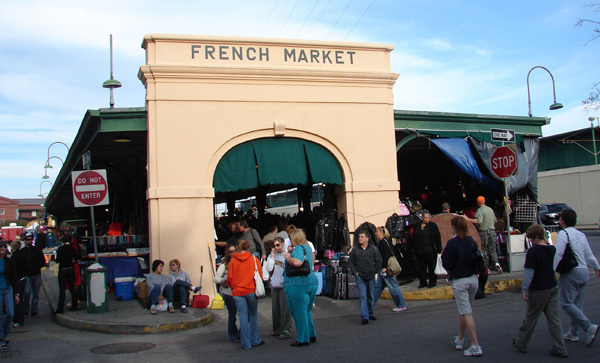 Most street party activities take place in the immediate area of the French Quarter, and the dance parties are in the clubs. And since the gay bars never close, there is something happening around the clock. Some of the nation's best DJs work the crowds into a frenzy. Louisiana was named in honor of French King Louis XIV. President Thomas Jefferson negotiated with Napoleon for the territory, and took control with the Louisiana Purchase in 1803. The state was admitted to the Union as the 18th state on April 30, 1812.